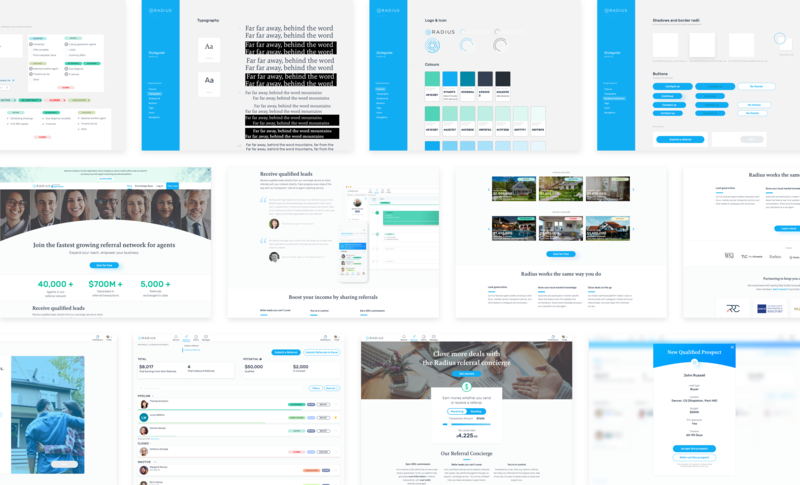 Strategize UI design for the mobile and web app across multiple module redesigns. 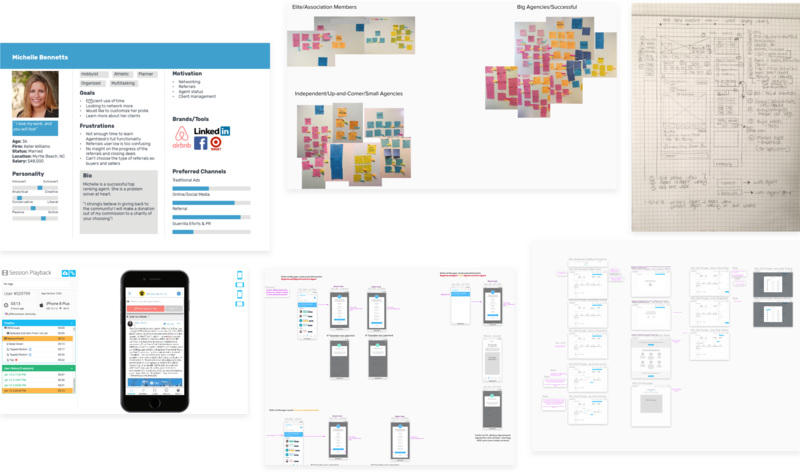 Our team synthesizes research, build wireframes and rapid prototype to validate direction. I create low – high fidelity designs that incorporate interaction design elements. Led Art Direction for new brand identity, including logo, typography, iconography and color pallette. Establish a voice for the brand that captures it’s professionalism and approachability. 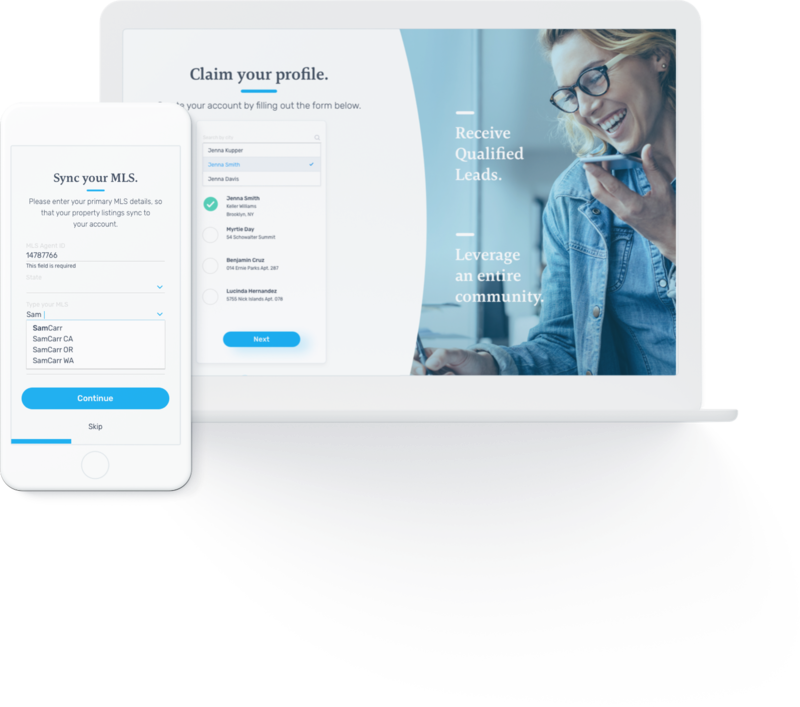 Pursuing our users needs, we synthesized our research and were able to create a persona and user journey. Next steps we created a base to rework the main core values of the product. 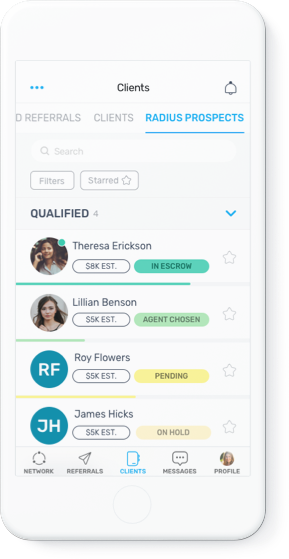 Dedicated experience catered to Agents, allowing to sync Multiple Listing Service and connect with existing Agents within their network. 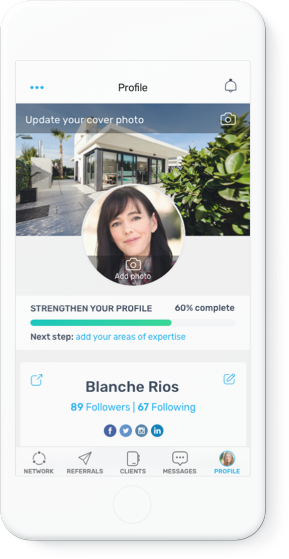 Optimization for Agent’s expertise, experience, and current listings. Display of ratings, badges and awards to engage user interaction. 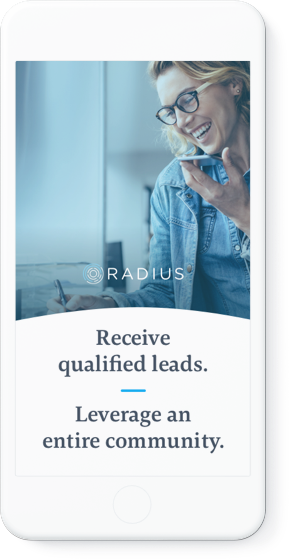 An referral program that offers, Inside Sales Agent, Referrals and Direct Enquiries. Featured on a React CMS platform. - Exploring gamification of the profile, utilizing rankings and badges. Embedding clear guidance throughout the entire product. Optimization overall navigation. Measure customer retention by MAU and WAU to total signups. 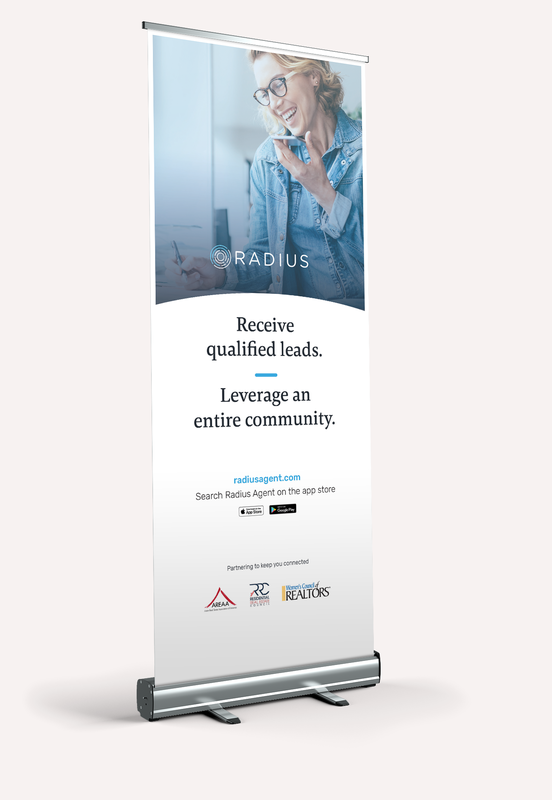 I produced pull up banners for large conference/PR events. The PR material showcased the company, brand and services. 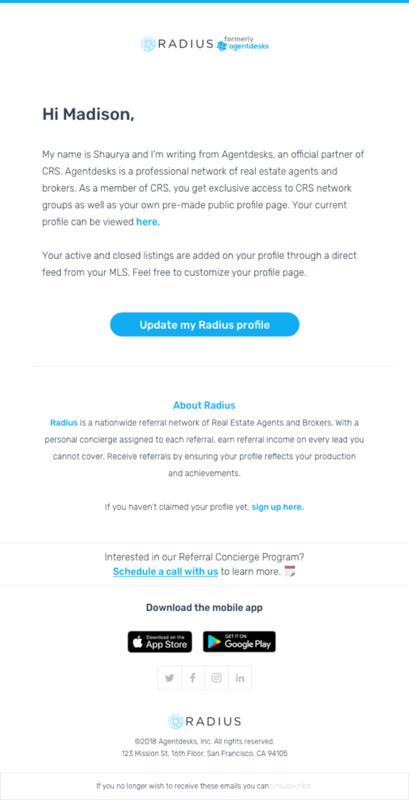 I developed a range of business and product emails that would engage Agents to send referrals and utilize the product. Emails were generated to reward, acknowledge, motivate, influence and retain action.